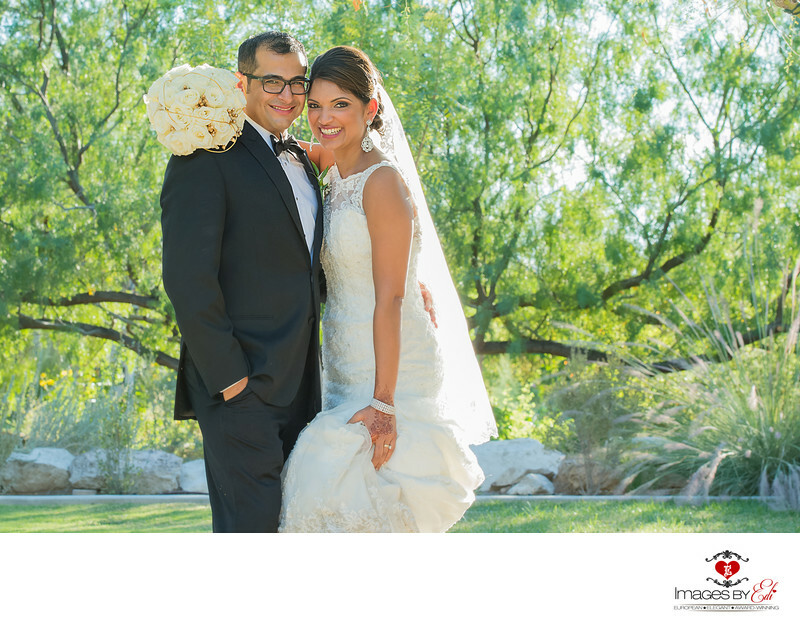 Between Christ the King Catholic Church Christian ceremony Las Vegas Monte Carlo Resort reception we stopped by at Springs Preserve to capture images with wedding party and the couple. I created this photograph at Springs Preserve during our formal portrait session with my beautiful couple. The bride is wearing a traditional Sophia Tolli white wedding dress.